With a lot of things in life it's amazing how daunting they seem until you're actually embedded in them. Cloth diapering is actually one of those things! When I sit here and think that I now have a toddler in cloth diapers I can't believe we've been at it for so long. Granted we started when Nia was about 3 months old because of the stash of disposables we were gifted, but still 9 months is a long time to keep at anything in my opinion! Anyway, it is going well! You can read the last update here, but latest two updates are that . . .
WOW! What a difference. 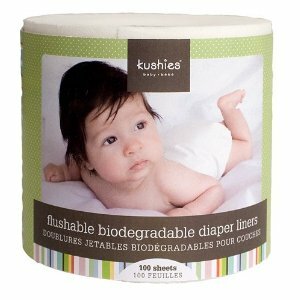 The Bumkins liners are much thinner and cover more surface area AND less expensive than the Kushies which are stiffer and tend to bunch up on the diaper. 2) We use Poo-Pourri Little Stinker to combat the stench. Toddlers create more adult-like poos and the smell is so strong. Even though we wash every other day, as is recommended, when we open the wet bag we are hit with a powerful stench. The Poo-Pourri combats this by covering the smell with an all-natural mix of oils such as bergamot, lemongrass and grapefruit. Mr. Love Bird says it smells like an item off a Chinese food menu! I think it is powerful, but much better than the poo stench. 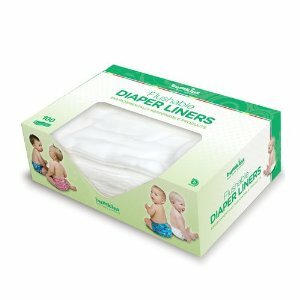 My sister gave me this product as a gift, and I see it retails for $12.95 for 4oz which is too much for me, but I find it makes a BIG difference in the cloth diapering experience. When it comes time to wash I'm not hit in the face with a wave of stench. I can see making a similar spray solution with oils from a natural food store so I'll try that when my bottle runs out. It only takes a quick one or two pumps to produce A LOT of scent, and I can already tell my 4oz bottle is going to last for a few more months. Anyone else cloth diapering a toddler? Have any tips/products to share? I've never used diaper liners. I'll have to give it a try. If we has a less than solid solid we spray the dipe and it's messy. I also end up using a lot of wipes to lift the stubborn pieces. Thanks for posting. 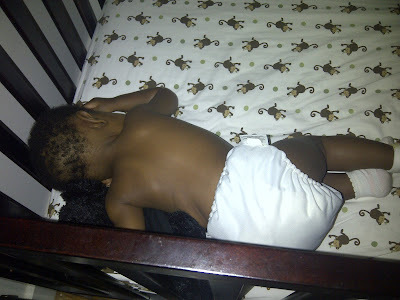 I am going to try cloth diapers this going around for the first six months(while on maternity leave). I am sure, there is not a daycare center in North America that would deal with cloth diapers, but I will check. 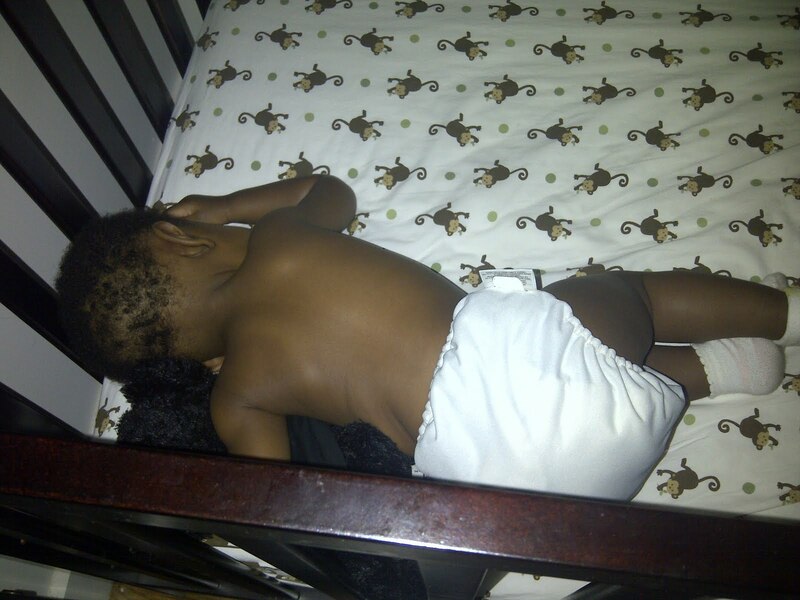 I wish I had used cloth diapers with my babies, but alas it is too late for me. I'm glad you are trying them out. I love your blog tremendously. Consider yourself followed! @Lynn Welcome Lynn! I appreciate the follow. Thank you!